Usa Charoenying suffered multiple broken bones when she slammed her pickup truck into a tree during a rainstorm. 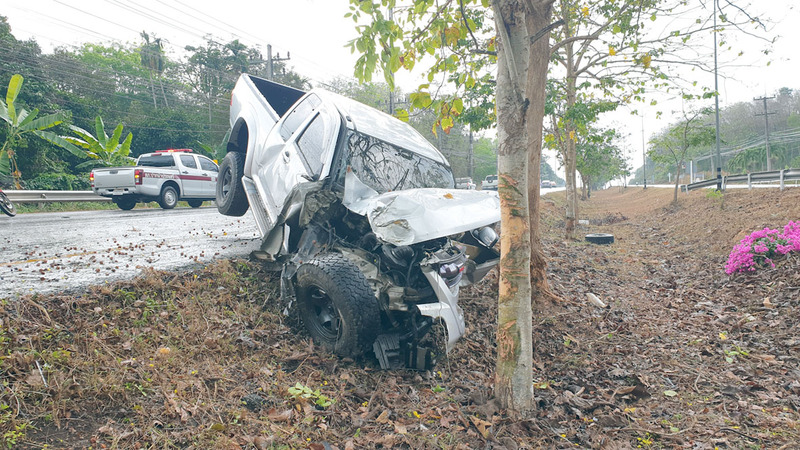 A Rayong woman was seriously injured when she slammed her pickup truck into a tree during a rainstorm. Usa Charoenying suffered multiple broken bones in the Feb. 26 wreck on Sukhumvit Road at the Sungsuwan curve in Sunthornphu Sub-district. She told police she was driving to her mobile phone shop when she lost control of the Isuzu D-Max in the rain and hit a tree on the center median.